The first release in the new campaign sees the words “YouTube break” replace the Kitkat logo on more than 600,000 wrappers. Kitkat is rolling out more than 100 million special edition packs in what brand owner Nestlé says is its biggest packaging redesign since it came to market 80 years ago. The campaign, which has been developed with advertising agency JWT, will see 72 different types of “breaks” introduced as part of Kitkat’s “celebrate the breakers break” campaign. These will include “Movie Break”, “Lunch Break” and “Sporty Break” and will roll out across 400 individual packaging designs. The campaign’s dedicated hashtag #mybreak is being moulded into the chocolate of 22 million bars, with the wrappers suggesting various “breaks”. 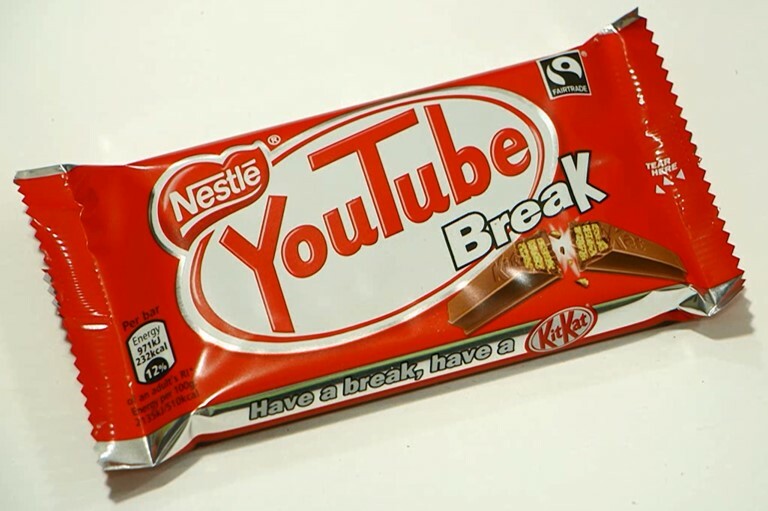 The first new pack to launch is a collaboration between Nestlé and Google which will see the words “YouTube break” replace the Kitkat logo on more than 600,000 wrappers. The collaboration between Google and Kitkat comes after Google named its Android operating system 4.4 update, released in 2014, “KitKat”. This looks to me like a broken strategy. Nestlé + YouTube + Chunky + KitKat Chunky… I understand the idea, but KitKat seems to be losing a lot of equity and the packaging is appalling. And can’t we have a chocolate bar that’s IRL (In Real Life), not some virtual technological wannabe????? Seems like the design strategy has gone the same way as the taste – sour. Trying the whole social media band wagon…also feels like they came up with a twist on the share with (name) coca cola branding but with different breaks!! after the years these big brands have been around don’t think the package changing will make more people buy! Andrew Laverick spot on. Carbon copy of Coca Cola. Been done. Lazy creative.